White ceramic double walled takeaway cup. 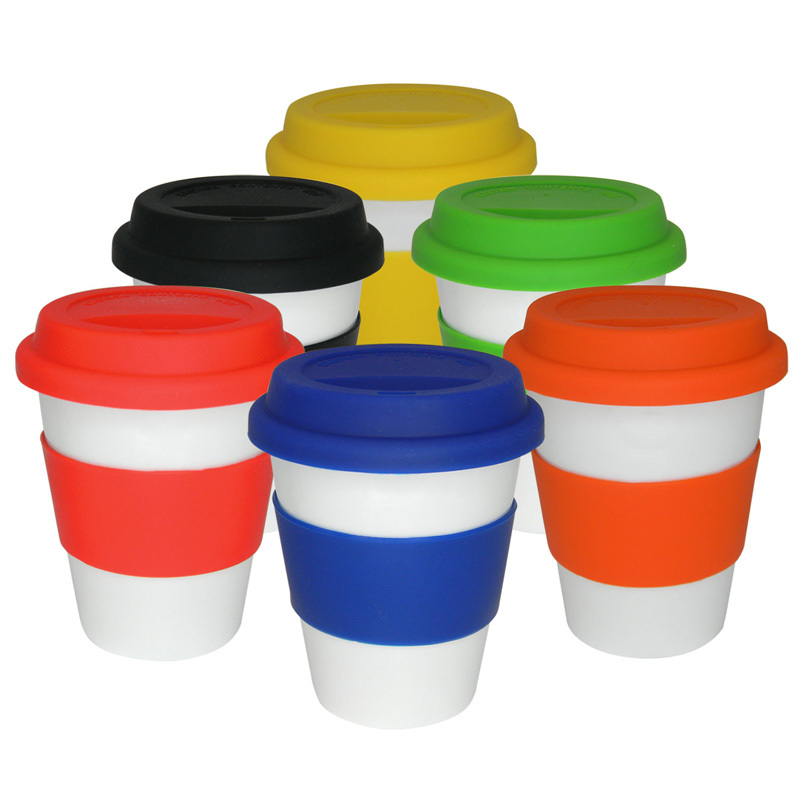 Mix and match silicon bands and silicon lids to your corporate colours. Band Colors available: Black, Mocha (4c), Navy (PMS288), Green (PMS368), Yellow (PMS109), Red (PMS485), Orange (PMS021). Lid Colors available: Black, Mocha (4c), Navy (PMS288), Green (PMS368), Yellow (PMS109), Red (PMS485), Orange (PMS021). Printing is on the band.